Some road crashes can be caused by an injured person’s own actions, as well as the negligence of another road user. This is otherwise known as ‘contributory negligence’. Contributory negligence is a defence often utilised by the driver primarily at fault for a road crash (the ‘defendant’). The defence concerns the apportionment of liability for the harm that has been suffered by the injured person (the ‘claimant’). Even though the claimant may be found partially to blame for the crash, this will not prevent them from bringing a compensation claim against the defendant. In order to argue contributory negligence successfully, the defendant will need to demonstrate that the claimant’s failure to take reasonable care contributed to the cause of the crash, their injuries or both. If contributory negligence can be demonstrated, it will have the effect of reducing the injured claimant’s compensation by a certain proportion. If the claim were to go to court, the judge would apportion liability for the crash in percentage terms to reflect the respective responsibilities of each party. The finding of contributory negligence depends heavily on the specific facts of each case. Below are some common examples of scenarios which may give rise to contributory negligence and consequently a reduction in compensation. Drivers and passengers are required by law to wear seat belts where they are fitted in the vehicle. Children aged 14 and over are responsible for wearing their own seat belt. If a claimant failed to wear a seat belt, the extent to which their compensation will be reduced will depend on how much that failure contributed to their injuries. Previous cases have indicated that, where a claimant’s injures would have been avoided entirely had they been wearing a seat belt, a 25% reduction would probably be made. If wearing a seatbelt would have made a considerable difference to the extent of the claimant’s injuries, a 15% reduction would most likely be made. 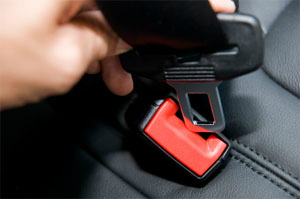 If wearing a seatbelt would have made no difference at all to the injuries suffered, there would be no reduction made. Children under the age of 12 years old or less than 1.35 metres in height must be seated in an appropriate car seat. It is the responsibility of the driver to ensure that the child is sat in a suitable seat and wearing a seat belt. If a child’s injuries could have been avoided had the child been correctly seated, then the driver of the vehicle may be held to have contributed to the child’s injuries. My colleague Cheryl Abrahams has prepared and interesting blog on child car seats. The wearing of a helmet is a legal requirement for motorcyclists and moped riders. As with seatbelts, previous cases have helped establish the potential reductions in compensation for failing to wear a motorcycle helmet. Where the severity of a head injury would have been reduced by wearing a helmet, a 15% deduction is likely to apply. In the situation where a motorcycle helmet is worn but not securely fastened, there is a distinction to be made in terms of blameworthiness. Where the helmet flies off before the claimant hits the ground, due to it being insecurely fastened, the claimant can expect in the region of a 10% reduction in compensation. Unlike seatbelts and motorcycle helmets, bicycle helmets are not a legal requirement. However, the Highway Code does state that they ‘should’ be worn. If the claimant cyclist does not wear a helmet, the defendant is likely to allege that the claimant’s injuries would not have been so severe had they done so. It will, however, be down to the defendant to prove that the claimant’s injuries would have been prevented or reduced if a helmet had been worn. In road crash claims, child claimant’s can also be found contributory negligent, although they are not judged by the same standards as adults. 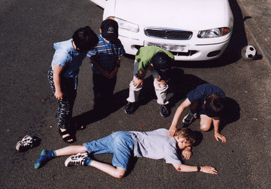 A common situation where this issue can arise is when children cross roads without looking. Generally, children under ten years of age are very unlikely to be found to have contributed to a crash. However, the child’s parents may find themselves vulnerable to a counterclaim from the defendant for failing to adequately supervise the child or otherwise prevent the crash. When deliberating whether some negligence should be attributed to a child, a judge will consider whether the child’s conduct fell beneath the standard of a prudent and reasonable child of the same age. As cars are capable of doing much more damage to a person than a person can to a car, the apportionment of liability will usually be in the pedestrian’s favour. The courts regard cars as potentially dangerous weapons and have therefore consistently imposed high burdens upon drivers. Even though a driver may have been travelling at under the speed limit, they may still be found to have been driving too fast under the circumstances, depending on the situation and the particular type of area where the driver was driving. It can often be the case that the crash would not have occurred had the driver been travelling at a slower and more appropriate speed. Passengers are often innocent victims in road crash cases. However, in the event that a passenger knowingly travels with a driver who is under the influence of alcohol, or if they know they are going to be a passenger in the driver’s car, drink with that driver and impair their own ability to appreciate the danger, then the passenger is likely to be found to have contributed to their own injuries. The drunk driver will still bear the majority of the liability for the crash, sometimes in the region of 80%. In order to successfully establish that the passenger contributed to their own injury, the defendant will need to demonstrate that the passenger knew or ought to reasonably have known that the driver was intoxicated. 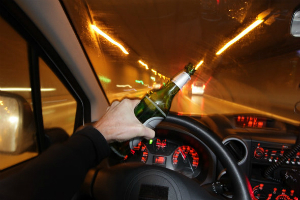 If the passenger fails to ask the driver whether they have been drinking, but did not notice anything about their behaviour that would indicate that they were over the drink drive limit, then no deduction for contributory negligence would likely be made. Case law has suggested that passengers should assess whether drivers are fit to drive before accepting a lift. However, this assessment need not extend to an interrogation of the driver as to how much they have had to drink. Contributory negligence is a common argument used by defendants in order to reduce the amount of compensation payable to claimants. In order to adequately assess whether any negligence should be attributed to the claimant, and, if so, how much, the specific facts of the case and all available evidence needs to be carefully considered. Claimants should not be put off by bringing a claim simply because they believe that they may be partially to blame. If that is in fact the case, at least some compensation will still be payable by the defendant, which will help put the claimant back into the position they would have been in had the accident not occurred. I am a Solicitor at Bolt Burdon Kemp and have experience acting for victims of road crashes. If you or a loved one have suffered an injury as a result of someone else’s negligence, contact me free of charge and in confidence on 020 7288 4815 or at benpepper@boltburdonkemp.co.uk for specialist legal advice. Alternatively, you can complete this form and one of the solicitors in the Personal Injury team will contact you. You can find out more about the team.